Get your calendars ready, because Milwaukee has lots of beer, music and running events this weekend! As the weather finally starts to get warmer, it’s almost time to break out your trusty old bike or maybe even get a new one. The Bike Expo Sale, the country’s largest bicycle sale, rides itself over to Milwaukee from April 4-7 at the Wisconsin State Fair Park (8200 W Greenfield Ave.). From electric bikes to kids’ bikes to bike accessories and lots in between, it can be a one-stop destination for all. Come support Wisconsinites for the Milwaukee Marathonm which takes place on Saturday, April 6, and starts and finishes at Fiserv Forum (1111 Vel R. Phillips Ave.). Participants will run a scenic route downtown, including the Lake Michigan waterfront, Lake Park, Marquette University and more. The event includes a marathon, half-marathon and 5K. Love all things writing, creating and publishing? The Milwaukee Public Library (814 W. Wisconsin Ave.) hosts Milwaukee Zine Festival on Saturday, April 6, from 10:30 a.m. to 4:30 p.m. A zine is a self-published, non-commercial print work created in unique DIY ways. The festival will feature over 60 local and nationwide zine-vendors and workshops. It’s time to get back to your Wisconsin roots. Come out to the Milwaukee Public Museum (800 West Wells St.) to immerse yourself in the history and culture of Wisconsin for the Wisconsin History Theme Day on Saturday, April 6 from 11a.m. to 3p.m. There will be Native games, Wisconsin rock art, and more. Beer is always worth celebrating. 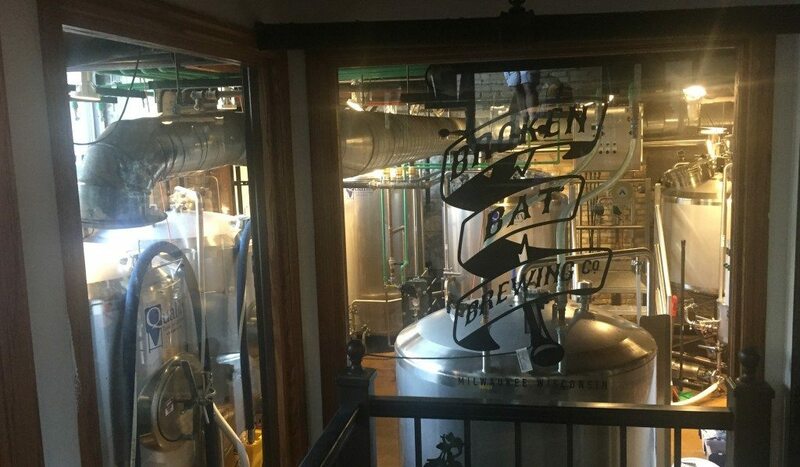 Broken Bat Brewing (231 E. Buffalo St.) celebrates its 2nd anniversary with a party on Saturday, April 6, from 11 a.m. to 11 p.m. While there will be fun all day, Broken Bat is closing down Buffalo St. from 5 p.m. to 10 p.m. to have an outdoor viewing party of the Brewers v. Cubs game. Does your little one only wear Ariel’s red wig or Cinderella’s glass slippers? Have them meet their favorite princesses at the Milwaukee Fairytale Ball on Sunday, April 7, from 9 a.m. to 7 p.m. at the Astor Hotel (924 E Juneau Ave.). The ball includes professional princess portraits, games, a candy buffet and more. The Right Now comes back to Milwaukee for another wonderful show. The soulful pop group will sing on Saturday, April 6, at 8 p.m. at the Anodyne Walker’s Point Roastery (224 W Bruce St.). The Chicago-native band has traveled all over the country and will showcase their newest album Starlight. Feeling blue? The 8th Annual Milwaukee Blues Festival takes place on Friday, April 5, starting at 8 p.m. at the Miller High Life Theatre (500 W Kilbourn Ave.). Some musicians on the lineup include Tucka, Sir Charles Jones and Terry Wright. Have you been watching Bohemian Rhapsody on repeat? Experience Queen (almost) in real life with the Milwaukee Symphony Orchestra on Friday, April 5, starting at 8 p.m. at the Riverside Theater (116 W Wisconsin Ave.). The 50-piece orchestra will perform with a full rock band for all of Queen’s classic songs. Caroline Blair is a digital marketing intern for Milwaukee Magazine. She just finished her sophomore year at Syracuse University studying magazine journalism and marketing. She grew up in Milwaukee and is excited to be spending her summer here interning at Milwaukee Magazine.